Copy the learning target for today's lesson and the essential question (in different colors) into your binder. Know and identify the basic properties of real numbers and their operations. How are numbers classified? 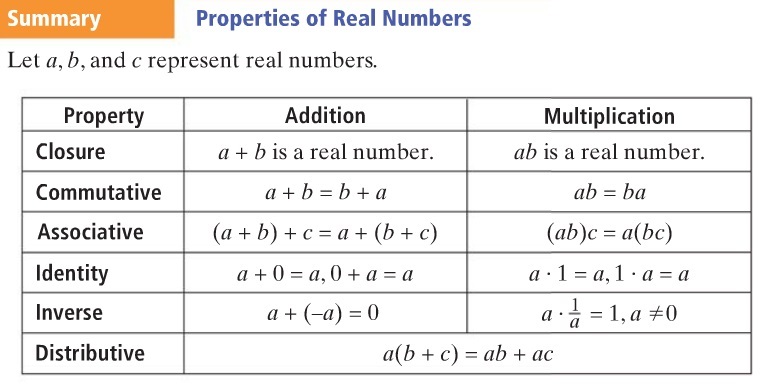 What are the more common properties used with real numbers? Step 2: Watch the videos (1-1 Properties of Real Numbers) and take notes in your spiral. Complete the assignment and answer the essential question. What question(s) do you have?